The Honorable Prime Minister of Belize, Mr. Dean Barrow traveled to the United States. A brief statement from the office of the Prime Minister announced that Mr. Barrow departed on Monday to join his wife Kim as she continues her scheduled medical treatment and check up at the MD Anderson Medical Center in Houston, Texas. 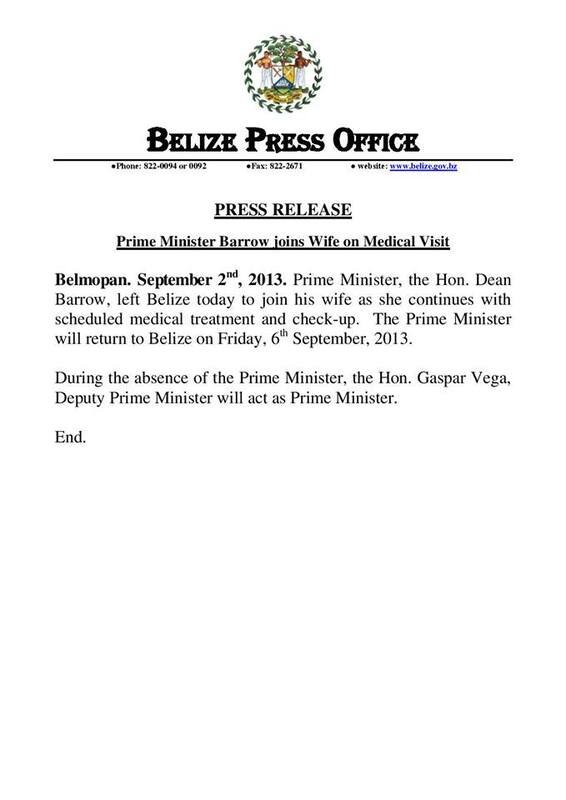 Prime Minister Barrow is due back in the country on Friday, September 6, 2013. During his absence, the Honorable Deputy Prime Minister, Mr. Gaspar Vega will be the acting prime minister.